I've got to try to keep this one fairly short, so I apologize if this post is somewhat bereft of humorous references to Robin Thicke's Blurred Lines controversy and Jeremy Clarkson's fracas. Mid-terms are here, so that means I've got to spend some of my few brain cells working toward that end. What does that all mean for you? Nothing really, in fact, I'm sure you're quite relieved that I'm going to shut my mouth for once and that it isn't you cramming for some tests that will likely be meaningless in a few years time. 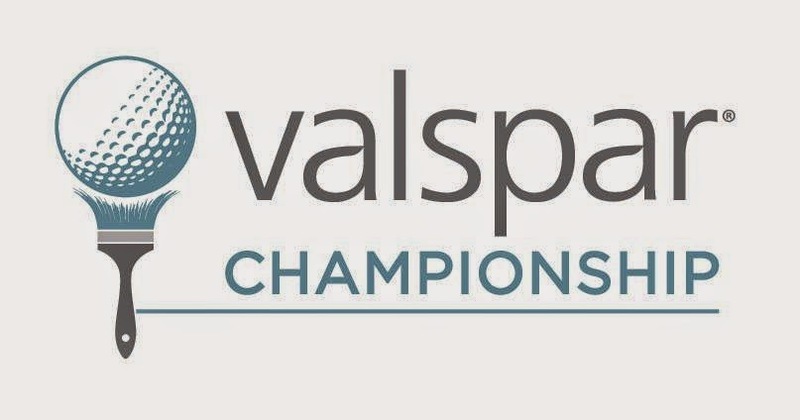 The field at the Valspar Championship is lacking someone who might be considered the far and away favorite. Jim Furyk, according to my Aggregate rankings, is at the top of his class, but his ability to win has proven fleeting since 2010. That being said, the field's open, and the Power Rankings are a good starting point, but there may be some significant surprises. My Power Rankings draw on statistics only, while Risk and Reward draws more on gut feel and intuition about players who missed my Top 15. In this column, you'll find "Lay-Up", "Going For It", and "Hazard". Look for more subjective analysis here, as opposed to the Power Rankings, where I rely strictly on data. If the idea of Lay-Up may contain players who, barring a Great Flood, will bank you some points. Going For It is where I'll have players that may have missed the Power Rankings or who I feel present an excellent opportunity to pick up a win, but carry some considerable risk. Lastly, Hazards, where I often find myself on any given Sunday, should be avoided. Luke Donald - TA: 45.63, CHG: (+0.4) - There isn't much that he's doing well, and his T7 at the Honda Classic is a long bright spot over the last year or so, but there's no denying that the former world number one feels comfortable at Innisbrook. The Copperhead course was the site of his most recent win in 2012 and he's never finished worse that sixth here in four tries. This is the golf course equivalent of a La-Z-Boy for him. Sangmoon Bae - TA: 43.125, CHG: (+10.8) - Dropped the hyphen a few weeks back but he hasn't changed much this season. He's 3-for-3 here with a tie for 14th last year and a playoff loss here in 2012. Given how well he's been playing this year, he'll easily find a paycheck and could very well contend for the win. Kevin Na - TA: 41, CHG: (+11) - His ninth place finish last week was his best since finishing second to Ryan Moore at the CIMB Classic. He hasn't been noteworthy much this season, but his track record here should make him an option if his effort at the WGC-Cadillac is to be believed. Finished solo-second here last year and hasn't missed a cut here since 2007. Justin Rose - TA: 40.25, CHG: (-9.8) - Luke Donald as the safe pick and Justin Rose as the risk? WHAT HAVE YOU DONE WITH MY PGA?! Rose is searching for form and the only reason he didn't miss his third straight cut last week was that there was no cut. He hasn't shot under par since the second round of the Farmers Insurance Open and hasn't made the cut at an event with one on the PGA Tour so far this year. His history here is good, with several Top 15s and Top 10s, so something has to give. Charley Hoffman - TA: 42.13, CHG: (-4.8) - This year's OHL Classic winner has been playing well, for the most part, all season. He hasn't missed the cut here in his last five attempts, racking up three Top 25s. He tends to strike an odd balance between underdog and chalk, so his placement here is fitting to his nature. Expect a solid finish. Ryan Moore - TA: 42.5, CHG: (-1.6) - The opposite conundrum of Justin Rose, Moore has been playing excellent golf since defending his title at this years CIMB Classic. Would have been shoe-in for the Power Rankings this week, but his track record here is about as good as my track record in calculus courses, which is to say that he has a single good result, but the rest is pretty terrible. Like Rose, something's got to give. Retief Goosen - TA: 57.25, CHG: (-7) - The two-time winner here has find flashing some form here and there but don't take that as a sign he'll be winning anywhere soon. His missed cut at the Honda Classic wouldn't have been an issue, but his last two results, a T44 and an MC, don't inspire confidence given his age. Goosen is a multiple major winner like Padraig Harrington, but don't expect comeback victories like that, just enjoy them if they do happen. Robert Garrigus - TA: 53.625, CHG: (+3.6) - His history here is tempting, but while he continues to bomb it like he usually does, the rest of his game is in no shape to contend. His best finish, by far, is his T31 at the Honda Classic. He's just not worth the risk right now. Matt Every - TA: 64.5, CHG: (-1.4) - I know you're eyeballing his T8 last year and thinking that he might be able to do it again. Take a drink, go for a jog, or do whatever it is that you do to get rid of negative thoughts, because he won't. His best finish this year is a T27 at the Hyundai Tournament of Champions, which features a 34-man field. Prior to his T8, he had missed two cuts at this event.